We evaluate all opportunities and provide tailored solutions to each individual client. Clients can choose from a wide range of investment options, and receive a personalised financial strategy. The law grants privacy and protection of all information regarding clients and for us is a priority. National Advisors Corporation is an independent brokerage house, founded in May 1998 and operating since April 2001 under license nr. CNV-084-01 issued by “Comisiòn Nacional de Valores”. 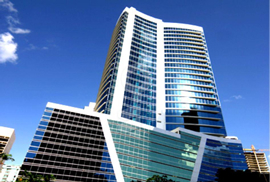 With its headquarters in Panama City, National Advisors Corporation is regulated by the “Superintendencia del Mercado de Valores (SMV)” and provides wealth management services to clients and partner companies. © 2015 National Advisors Corporation. All Rights Reserved.